The EvoWood S557 Lockblade Swiss Army Knife is a pocket-sized toolbox. 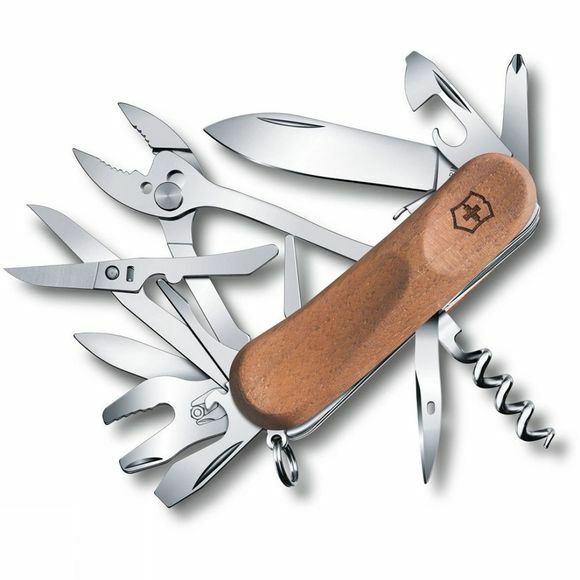 This feature-packed Swiss Army knife has a 63-millimetre locking stainless steel blade, lever design serrated-edge scissors and pliers, and is equipped to perform 19 different functions. The ergonomic handles of the EvoWood S557 are contoured to fit perfectly into your hand for a comfortable, secure grip.